US-Syrian relations have continued to improve over the two weeks that I was on vacation. A second US military delegation visited Damascus to work on implementing agreements on Iraq security and intelligence sharing. Doubtlessly there will be hiccups in this process. 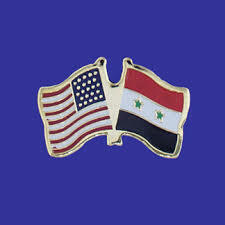 American will want quick compliance and its requests met in full; Syria will hold back information and access until it is satisfied that its demands, particularly on the economic front, are being met. Economic demands are the most easy for the US to deliver on. Even then, US diplomats will claim that congress, the pro-Israel lobby, and “old-think,” stand in the way of change. Al-Maliki, upset that the United States has taken it upon itself to negotiate over Iraq’s security with another country, followed the Americans to Damascus. “Iraq is still complaining about the infiltration of Arab and foreign terrorists into Iraq,” said Ali al-Moussawi, an adviser to al-Maliki. As the US pulls out of Iraq, Baghdad authorities are beginning to accuse Saudi Arabia of fueling the continuing violence against Shiites. Al-Akhbar claims that Obama has moved the Syria and Lebanon file from the State Department to the White House, which is theoretically less subject to pressure from pro-Israeli elements. I have no idea if this is true. President Bush was the first president to move the Syria-Lebanon file to the White House, where it was jealously tended by the NSC and Elliott Abrams. Abrams served as a point person for policies related to the Israeli-Palestinian conflict; he viewed Lebanon and Syria policy as a subset of the Israeli-US relationship. He used his perch in the NSC to fight efforts to push diplomatic approaches to the crises in the Middle East. In particular, he saw Saudi King Abdullah’s Arab Peace initiative as dangerous. He sought to prevent land for peace discussions and tried to stop Condoleezza Rice from pushing them forward. He used democracy promotion as a weapon to prevent engagement with Syria or the Palestinians and to divert discussion from talking about land to “capacity expansion”, “institution building,” etc., which led no where. This permitted him to focus on the enemies of Israel, which he was determined to destroy. It was said that Obama would unwrap his Middle East Peace Plan during August, but this seems unlikely today. It is clear that Israel will not freeze settlements and will fight Obama by going to the Senate, Republican Party, and US evangelicals. See the article on Hukabee copied below. Foolishly, the Obama administration asked Saudi Arabia, Egypt, and the Arab states to “normalize” relations with Israel in exchange for Netanyahu’s acceptance of the two-state solution and the freeze. Predictably, they have brushed off this suggestion, claiming that it would be putting the cart before the horse to normalize before a sovereign Palestinian state is established. and they are correct to do so. The Arab refusal, however, has been useful to Israel supporters and opponents of the Obama initiative in the US government, who can now attack the Arabs for torpedoing the US plan. Two of my very smart students returned from an AIPAC led trip to Israel. They explained to me that “Obama is a well meaning man, who doesn’t understand the Middle East and is tilting at wind mills in trying to promote a two-state solution, which was never viable. Why,” they say, “even the Arab states are ignoring Obama’s requests. Why would Israel be a sucker and comply?” Then they decried the PLO conference, lamenting how no moderates remain among the Palestinians for Israel to negotiate with. They insisted that Obama was squandering his precious political capital on foreign policy when he needs it all for health care at home. So how does this impact Syria? Damascus is trying to separate US-Syria relations from the Arab-Israeli conflict in anticipation of the day that Obama’s initiative founders. Even Hussein Agha and Robert Malley are claiming that “The Two-State Solution Doesn’t Solve Anything”. Syria’s effort to develop a relationship with Washington that is not ultimately contingent on Israel will be difficult. The only reason most policy makers in Washington are interested in Syria is because of Israel. They want to end the Arab-Israeli conflict, but they have to do it without forcing Israel to give up the Golan because they are incapable of pressuring Israel. Clinton got close in 2000, but was ultimately unable or unwilling to pressure Barak to give up the Golan. I am about half way through “A World of Trouble:The White House and the Middle East — From the Cold War to the War on Terror,” by Patrick Tyler, which is excellent both for its careful archival research and readability. Tyler demonstrates how President Johnson failed to force the Israelis to withdraw from the territories captured in 1967 because he wanted to be the most pro-Israeli president and win the continuing support of Jewish American backers who helped finance his campaign and provided invaluable support in the civil rights movement and Johnson’s Great Society programs. Nixon set out to reverse this mistake during the 1973 war, but was forced to become a cheerleader for further Israeli territorial gains due to Kissinger’s perfidy and pressure from key senators such as Scoop Jackson. The tale is a fascinating one and well written. Tyler has been hammered by reviewers in both the New York and L.A. Times for his focus on the pro-Israel lobby. Tyler has the archives to back up his contention that the Lobby played an important role in the history. The reviewers have only their assertions to deny it. Reading the book underlines how difficult it will be for President Obama to end the Arab-Israeli conflict and limit the on-going damage that it does to US interests in the region. Even if Obama cannot achieve a two-state solution, Syria may be able to profit from the President’s determination to change, at the very least, Washington’s relationship to Israel and lesson its one-sided approach to the region. Alex has very kindly programmed a new function for Syria Comment. Near the top of the left column and below the search box you can now click on “search comments” …. try it. The The July-August 2009 issue of the Mideast Monitor, edited by Gary Gambill is up. It features articles by Gary and our very own Qifa Nabki. Despite enormous Western support for his rivals, the hostile intercession of the Maronite Christian church, and a flurry of damaging foreign accusations against his Shiite alliance partners, Michel Aoun walked away from the June elections with the largest Christian parliamentary bloc in Lebanese history. The Lebanese opposition managed to win the popular vote handily, while still losing the election. On 2 August 2009, after cordoning off part of the Arab neighborhood of Sheikh Jarrah in east Jerusalem, Israeli police evicted two Palestinian families (more than 50 people) from their homes; Jewish settlers immediately moved into the emptied houses. Although Israeli police cited a ruling by the country’s supreme court, the evicted Arab families had been living there for more than 50 years. The event – which, rather exceptionally, did attract the attention of the world media – is part of a much larger and mostly ignored ongoing process. Five months earlier, on 1 March, it had been reported that the Israeli government had drafted plans to build more than 70,000 new homes in Jewish settlements in the occupied West Bank; if implemented, the plans could increase the number of settlers in the Palestinian territories by about 300,000 Such a move would not only severely undermine the chances of a viable Palestinian state, but also hamper the everyday life of Palestinians. A government spokesman dismissed the report, arguing that the plans were of limited relevance – the construction of homes in the settlements required the approval of the defence minister and the prime minister. However, 15,000 have already been fully approved, and 20,000 of the proposed housing units lie in settlements that Israel cannot expect to retain in any future peace deal with the Palestinians. The conclusion is obvious: while paying lip-service to the two-state solution, Israel is busy creating a situation on the ground that will render such a solution impossible. …. Though in recent months some have derided the power of dialogue, the truth is that strategic engagement with our enemies remains absolutely essential for our national security. Talking to our adversaries with a clear purpose in mind is not a sign of weakness. At the same time, diplomacy should never be carried out in a way that indicates a lack of United States resolve. While President Ronald Reagan stigmatized the Soviet Union as the “evil empire,” his administration carried out tough-minded negotiations with the Communist regime and achieved positive results. The often adversarial relationship between the U.S. and Syria is a case in point. The Syrian regime could undermine security in southern Lebanon, hinder progress in Iraq, and continue to support Hezbollah, Palestinian Islamic Jihad and Hamas. It also has the potential to play a constructive role in the region—a possibility that has yet to be fully explored. A high-level bilateral dialogue could enhance our national security interests, as demonstrated by U.S. diplomacy in the recent past. When I was ambassador to Syria (1988-1991), my major task was to implement the policy of strategic engagement established by President George H.W. Bush and Secretary of State James A. Baker III. Our relationship with Syria in the late 1980s was troubled. But we understood that without Syria we could not help end the civil war in Lebanon, make progress on Arab-Israeli peace talks, curtail certain terrorist groups, control drug trafficking, promote regional security, and advance our human-rights agenda. We sought common ground through serious dialogue. Despite many obstacles, tangible goals were reached…..
… The Baker-Hamilton Iraq Study Group Report, published in 2006, called on Syria to take specific action on key issues dealing with Iraq, Iran, Hamas and Hezbollah. The report also said that the regime should take action on the matter of Lebanon’s sovereignty, including by cooperating with the United Nations Commission’s investigation of the assassination of Rafik Hariri. In exchange for these actions, and in the context of a final peace agreement, the report called on Israel to return the Golan Heights. The report also offered a security guarantee for Israel that could include an international force on the border. If requested by both parties, it would comprise U.S. troops. The Arab-Israeli conflict and the struggle between the forces of moderation and extremism within the Muslim world are the two major issues that are exploited by the Islamic extremists for their own political ends. Thus, U.S. policy should focus on promoting a comprehensive Arab-Israeli peace settlement, and on supporting the moderates in the region by the judicious use of soft and hard power to marginalize the extremists. U.S. engagement with Syria could be a key component of this strategy. Twenty Syrian civilians were killed and 60 more were injured after a Scud missile test-fired jointly by Syria, North Korea and Iran in late May strayed off course, Japan’s Kyodo News reported. The launch was an attempt to test a new short-range ballistic Scud missile jointly developed by the three countries that they meant to replace an outdated version, according to the Japanese report, which quoted Western diplomatic sources. A technical malfunction caused one of the two missiles test-fired to land in a market located in a town on the Syria-Turkey border, killing 20 and injuring 60 more. Syrian military officials blocked off access to the area to recover what was left of the missile, Kyodo News reported, and told residents there had been a gas explosion. The other missile may have landed in a border area between Syria and Iraq, the diplomatic source told Kyodo. Kyodo also quoted a Middle Eastern military source, who said a problem with the missiles’ guidance systems caused them to go astray. Nobody imagined in 1947 that the terms on which Palestine would be divided into two states could be determined in negotiations between Jews and Arabs. Comprising almost two thirds of the population and owning an even larger proportion of the arable land, Arabs had no incentive to cede half the country to a minority of recent European immigrants. If there was to be a partition, it would clearly have to be imposed. The unfortunate reality confronting all those who seek a new two-state solution to the Israeli-Palestinian conflict is that the two sides may be no more likely to reach agreement today than they were 62 years ago. The balance of power and possession has, of course, shifted dramatically in favour of the Jewish population: they now comprise a little over half of those living in what was once Palestine, but directly control 95 per cent of the territory. They consider handing about a fifth of that territory back to the Palestinians as a “generous offer”, and with a government dictated to by right-wing nationalist settlers who believe they are doing God’s work by driving the Palestinians off land in the West Bank and East Jerusalem, the Israelis are not even feeling particularly “generous”. That is bad news for the Obama administration, which is preparing to unveil the next phase of an Israeli-Palestinian peace effort that it has made a diplomatic priority of its first term in office – raising expectations that it may struggle to meet…..
– There were many layers to the groundbreaking “thank-you” from French President Nicolas Sarkozy to Syria, after Damascus this week helped free Nazak Afshar, a French-Iranian citizen, from captivity in Tehran. Afshar was arrested on charges of participating in a move to stage a “soft” revolution in Iran after the elections in June that saw President Mahmud Ahmadinejad win a second four-year term. Afshar worked at the cultural service of the French Embassy in Tehran and was caught up in the massive street demonstrations that broke out when loyalists to losing presidential candidate Mir-Hussein Mousavi claimed the elections were rigged. …Now that the two have settled their differences over internal Lebanese affairs, the prospects of real results in Iraq are high. Syria has one advantage in Iraq, however, that the Saudis do not have – a strong influence in the Shi’ite street. This was made very clear last month when the Syrians hosted Shi’ite heavyweight Muqtada al-Sadr in Damascus, proving that when it comes to cross-sectarian influence, they have the upper hand in Iraq. The Iranians only have influence among Shi’ites, making Syria a valuable player – in American eyes – for real rapprochement in Iraq. This is yet another point the Syrians can use to market themselves as stability makers in the region, in addition to the weight they can push around in the Palestinian territories and Lebanon. …. Syria is set to unveil a long-awaited new telecommunications law that could see the creation of an independent regulator and the creation of a new licensing regime for mobile operators. Due to be introduced by early next year, the new law will also see state-owned Syrian Telecommunications Establishment (STE) restructured to become a commercially driven player, as well as pave the way for the possible arrival of a third mobile operator that should lead to increased competition and ultimately result in lower tariffs and increased penetration. The STE is currently set-up as a public enterprise and holds a monopoly over the provision of fixed-line services and infrastructure. The STE also serves as the sector’s regulator…. The new law will remove the regulatory function from the STE…..
Pressure to end the STE’s monopoly over infrastructure is coming from abroad as well. A stipulation in the pending EU-Syria Association Agreement, which is likely to be signed next year, states that infrastructure ownership will be opened up six years after the agreement takes effect. Some of the biggest changes will come about in the mobile sector,…..
JERUSALEM – Former U.S. presidential candidate Mike Huckabee said Tuesday there should be no Palestinian state in the West Bank and endorsed Israeli settlements there, sharply disagreeing with Washington and much of the world. A three-day tour of Israel, hosted by a far-right group of religious nationalists, is taking Huckabee to some of the most contentious hotspots in the Israeli-Palestinian conflict including a West Bank settlement outpost that even Israel’s hard-line government considers illegal and an east Jerusalem housing project that the Obama administration has demanded be halted. Israel officially refuses to freeze its settlement activity, but officials have confirmed that approval is now being withheld from fresh projects. Huckabee’s opposition to a Palestinian state puts him at odds with the accepted wisdom of both Democrats and Republicans — and to some degree even with conservative Israeli Prime Minister Benjamin Netanyahu, who has come out in favor of some form of Palestinian independence. Speaking to a small group of foreign reporters in Jerusalem, Huckabee said the international community should consider establishing a Palestinian state some place else. “Israel is a place where they’re going to allow other cultures and religions, but don’t ask the Jewish people whose homeland it is to completely yield over their ability to live within the context of their country,” said Huckabee….. They want to end the Arab-Israeli conflict, but they have to do it without forcing Israel to give up the Golan because they are incapable of pressuring Israel. In the spirit of intellectual honesty, please outline for your readership here and your “very smart students”, exactly what the Israelis spurned from the Syrian government. I’m not asking for the moon. What exactly did the Syrians offer Israel, and what did Israel offer the Syrians? Your constant theme of blaming the GOI for everything (like most do on your website) is very tiresome without factual evidence to back it up. The text of this paragraph seems to be clipped in the middle. In particular, it seems like the missing text is aimed at substantiating your assertion that Barak was the one responsible for the failure of the talks in 2000, which I haven’t seen a proof of. attempt of America, isn’t working (yet). And what “victories” was that…!!!! Damn..!!! confused between begging (literally) America, and blackmailing her. Indeed. “Victories”, that generations to come will remember. Again you seem to be outraged at the enemies of Israel not acting to the highest moral standards. When Israel can reduce the number of innocent Arabs it kills unnecessarily every few months or years, then we will join you in being outraged at Syria’s lack of tolerance to political opposition.And don’t forget what the Americans did in their prisons in the Middle East. Your country (rarely criticized by the west) made it easy for any Arab leader to feel moral enough in comparison. As for Assad’s words in Iran … they were the soft (changed nothing) reward for Nejad in exchange for his willingness to deliver what the French wanted. Ask Sarkozy if he is really bothered by Assad’s visit and its results. Syria is not begging the United States .. Syria is trying hard to communicate with the United States. If you can’t understand that part you will continue to be confused through what you perceive as begging/threatening. Zizek is an interesting thinker. I liked his commentary in the excellent movie Children of Men. His Guardian piece though was just stating the obvious. Perhaps he felt a duty to do so. JAD doesn’t like me, repeating myself. He calls me names when I do so. if it sends the IDF to kill Israelis. I cannot understand how and why you tolerate your leaders. I really can’t. Nasralla in 2006 sacrificing 1200 ppl.. for what.? one Samir Quntar.? for what? ..what did Hamas gain ? Now your Dear Leader Assad sacrificing every thing.. for what..? For your notable Arab honor..? Honor is important, but sacrificing thousands of ppl for it ? I wouldn’t want my leaders, to sacrifice me for stupid honor. Despite our leaders mistakes I prefer them much more than yours. How can YOU tolerate your corrupted leaders, your hysterical and violent ultra religious, the killings of innocent children in Gaza by your proud IDF, the relentless theft of lands, the denial of the Palestinian rights. Please spare us your outrage, it’s out of place. By Sy Hersh’s account in this article there is no wonder the Obama Administration (including Israel) has no reason to engage with Syria and expect a peace agreement. It’s the proverbial cutting room floor. And, as one would imagine, there’s some fascinating material that didn’t make the screen. Clinton was trying desperately to cover-up for the gaps between the sides. Fundamentally, without guarantees on water rights in the lake and the streams that feed into it, there will be no deal in the future. What needs to change? 1. More trust on the Israeli side (if the Syrians get access to the lake, they will not poison it). and yes that 100 yards is more important to Syria than the whole Golan because what Israel wants to make it clear is that it imposed it’s will on Syria and that will never be accepted by Syria , especially as it feels that it is giving all what Israel wanted on security and water . I agree with your first argument that Barak’s/Israel’s fear about allowing Syrian access to the lake, while still keeping the rights to the water (which Israel shares with Jordan and eventually with Palestine), was probably irrational and motivated by the lack of popular support for an agreement inside Israel. I heard that the Geneva plan of Yossi Beilin and Yasser Abed Rabbo has a draconian security appendix that would make it a humiliating if not impossible mission to cross between East and West Jerusalem. That’s what happens when you let military types imagine what peace would look like. I assume that the same suspicions, in addition to being leery about the Israeli street, are what caused Barak’s reluctance to trust the Syrians. On the other hand your second argument is purely about ego. If it was to be a deal between two business entities, then adhering to such considerations would be unprofessional. In fact, if these are the reasons that Assad has prevented from his people the utilization of 99.9% of the rest of the Golan then I’d say that from a pure materialistic perspective he made a mistake. There was no reason to blow up negotiations over this point. If there was a true will, it should have been trivial to find a solution. I agree. I think Hafez Assad made a mistake twice, with Barak and with Netanyahu. Precious years have been lost. And Sharon, Olmert, and Netanyahu, have been making the same mistake with Bashar. When your enemy wants to talk – you talk until you reach an agreement. The talking itself creates confidence, and it must not end quickly because not enough confidence has been established. I agree. I think Hafez Assad made a mistake twice, with Barak and with Netanyahu. Precious years have been lost. And Sharon, Olmert, and Netanyahu, have been making the same mistake with Bashar. When your enemy wants to talk – you talk until you reach an agreement*. Prime Minister Benjamin Netanyahu said on Wednesday after talks with U.S. President Barack Obama that Israel was ready to immediately open peace talks with Syria without preconditions. “There was agreement that we must immediately launch peace talks,” Netanyahu told reporters at Ben-Gurion Airport after three days of talks in Washington. “I said I was ready to immediately open peace talks with the Palestinians, by the way, with the Syrians as well, of course, without preconditions,” Netanyahu said. “But I made it clear that any peace settlement there must find a solution to Israel’s security needs”. Of course Barak was at fault, who else could be? Again, please let us know what Syria offered Israel, then, perhaps, I’ll come to that same conclusion. From the latest moves by Assad (Post #9), no one in the US administration is naive enough to think another “Sadat” is sitting in Damascus. Israel is always trying to impose it’s will , that will not happen .